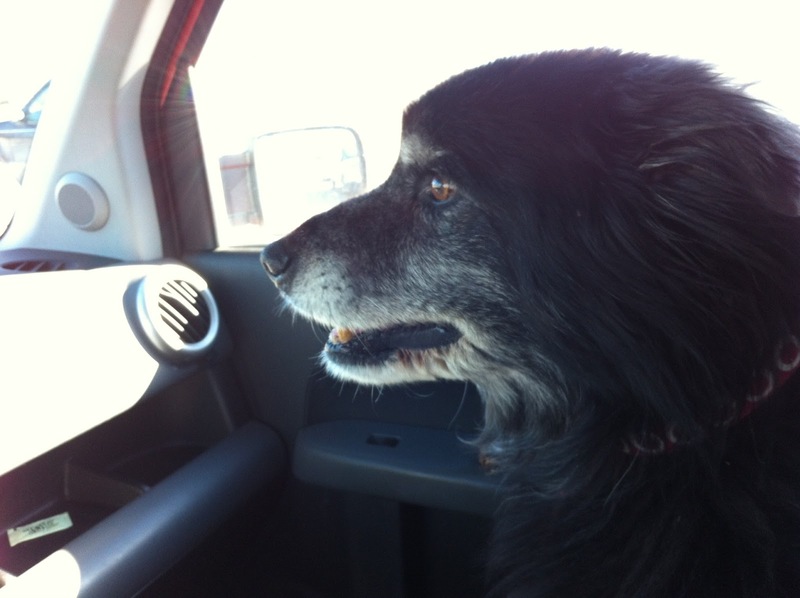 Mr. Tootie, he likes to ride up front! Looks pretty good for 14, no? This is...it's.... well, it's hard to describe. But I bet you find some howlers. Please share your favorites in comments. In January the economy added a net of 157,000 new jobs and the unemployment rate ticked up from 7.8 to 7.9 percent. Just another blah report, right? The change in total nonfarm payroll employment for November was revised from +161,000 to +247,000, and the change for December was revised from +155,000 to +196,000. 247,000 is a pretty good monthly jobs number and 196,000 is at least semi-respectable. 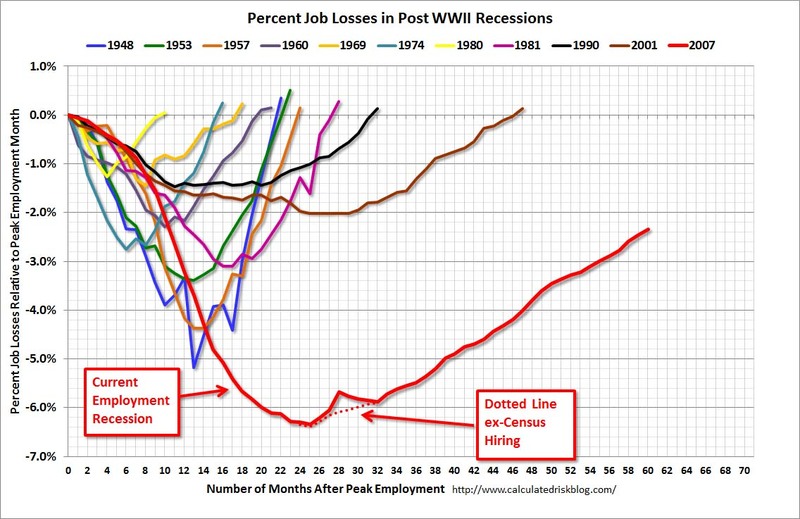 You can see the strongly V shaped pattern of many previous recessions and recoveries and also that the 2001 recession recovery, while anemic, was still much faster than this one. 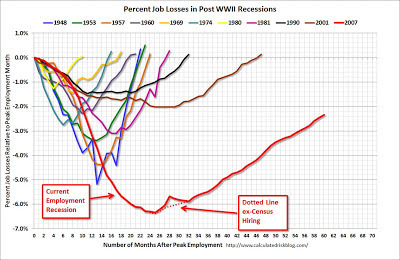 At this rate we have around 2 more years before employment will recover it's pre-recession peak level. KPC friend Zach Weiner came up with this idea for a board game called "Monopsony." It needs work (as he notes), but the premise is genius. I think he needs some way to bribe government officials to control entry. Monopsony, like "real" Monopoly, requires government help to prevent competition and to beat the hell out of union organizers. "It works as a CATalyst." Yes, a spoof of idiotic drug war propaganda. And a big hit at Sundance. A fascinating story, both a history and a modern caution. ...on Jan. 29, 1863, the Confederate Congress secretly authorized the Paris-based bankers at Erlanger et Cie. – which rivaled Rothschild for European royalty connections – to underwrite $15 million of Confederate bonds, denominated in British pounds or French francs. But unlike ordinary bonds backed only by the faith and credit of the issuing country, at the option of the holder an Erlanger certificate could be converted into a receipt for a pre-specified quantity of cotton. Furthermore, the conversion rate was fixed at 12 cents a pound, regardless of the commodity’s market price, at the time about 48 cents. On top of that, the bonds paid a handsome 7 percent annual interest rate. Put another way, a buyer of a £1,000 bond could convert it into 80 500-pound bales of cotton worth almost £4,000. If the price of cotton continued to rise, the underlying bond’s conversion-value would climb in lockstep. European investors flocked to the bonds, including the future British prime ministers William Gladstone and Lord Cecil. But like any too-good-to-be-true investment, there was a catch: the cotton was located in the Confederacy. Upon conversion, Confederate authorities were obligated only to deliver the bales to a point within “ten miles of a navigable river or railhead,” where the new owner must arrange transport to the final destination. 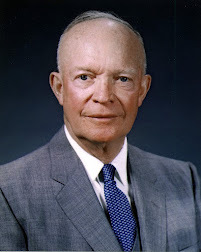 Nod to JR, who asks: "What would have happened in the war if they had followed Benjamin's way to sell cotton future instead of the banker's model?" Will China's development destroy the world? I'm not an expert on global warming, but I do think that of all the fossil fuels, burning coal is the worst for our environment, and China is burning a buttload of coal! 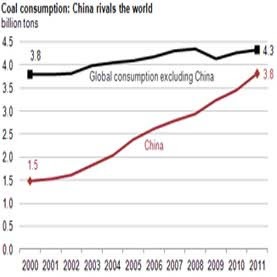 China is both the biggest coal producer AND the biggest coal importer. Can it be that the biggest single problem facing the world is the need to find a much cleaner energy source for the developing world? One thing is for sure: a rich world carbon tax is not going to do much, if anything at all, for the environment. Unlike acid rain, carbon dioxide emission is a global externality, not a local one. Price regulations to "protect" consumers are generally floors, not ceilings. In which case it's hard to say how it's consumers being protected. Because regulators actually don't care at all about consumers. The upscale Fresh Market was selling gallons of milk for $2.99 as part of a weekly promotional deal. Louisiana requires that retailer price markups be at least six percent above the invoice and shipping costs of the product. “They can sell it six percent over cost all day long. It’s when they sell it below cost that it becomes a problem,” State Agriculture and Forestry Commissioner Mike Strain told The Advocate. Had a great time working the green screen to get this done for the Jack Miller Center. It's kind of long, 20 minutes, but there is a lot of good content there. My worry is that you have to be pretty interested in the subject to stick it out. So our political theory friends might use it. But it's going to take some fireworks to reach the high school kids. Still, the Miller Center vid holds up pretty well, in SPITE of giving me the narrator role. Next time: music. And, an EPIC VIOLIN SOLO! This is so, so great. Last year's contest was tremendous. And I got to be a judge. We are doing it again! This was last year's winner. Extremely catchy. You'll be humming it. "We can make whatever you LIIIIIIKE!" I'll admit that in addition to working as a professor, working as a music/rap video star can be stressful, but it's worth it. John Papola is clearly the master. But in my own small way, I am glad to be one of the judge's of the Economics Music Video Contest sponsored by Edward Stringham at Fayetteville State University. Last year's contest on "Supply and Demand" was a blast and we'll have a new contest "Economic Value is Subjective" this year. "Karl Menger had an idea long ago. That value's different to people, therefore subjective, yo!" Now, THAT is poetry, economics fans! The contest is open to all students and entries are due May 15, 2013. The winners gets $2,500 and the professor of the winner gets $500. The lovely Dr. Diana Thomas makes a nice point. Voters aren't ignorant because they are dumb. In fact, voters are ignorant because they are SMART. Raising the question of whether, as Angus has suggested, the ethical choice is actually NOT to vote, especially if you are uninformed. Think how great it would be if anyone who knew s/he didn't know much decided, "The moral choice is to stay home!" What a wonderful world that would be! The chances of a school being a target of gun violence are negligible, but we have marches and mass pestering about a non-existent threat. But people take showers and drive cars every day. Now, THOSE things are dangerous. And Jared Diamond, to his credit, recognizes this. It's fun to yammer about guns, precisely because it is a trivial risk. We can show how much we care by being irrational. When Are Women More Effective Lawmakers Than Men? Previous scholarship has demonstrated that female lawmakers differ from their male counterparts by engaging more fully in consensus-building activities. We argue that this behavioral difference does not serve women equally well in all institutional settings. Contentious and partisan activities of male lawmakers may help them outperform women when in a polarized majority party. However, in the minority party, while men may choose to obstruct and delay, women continue to strive to build coalitions and bring about new policies. We find strong evidence that minority party women in the U.S. House of Representatives are better able to keep their sponsored bills alive through later stages of the legislative process than are minority party men, across the 93rd–110th Congresses (1973–2008). The opposite is true for majority party women, however, who counterbalance this lack of later success by introducing more legislation. Moreover, while the legislative style of minority party women has served them well consistently across the past four decades, majority party women have become less effective as Congress has become more polarized. Super Bowl week is in full gear, but I wonder how many more there will be, or at least how many more will still have the same level of coverage and attraction. Did you hear about the UCLA researchers who believe they've found a way to test for the presence of CTE (Chronic Traumatic Encephalopathy) in living people? They rounded up 5 former NFL football players and applied the test, which was positive in all 5 instances. As I understand it, the test scans brains to look for tau, a protein that attacks brain cells, which is a strong marker for CTE. You might think Baltimore's Bernard Pollard agrees with me, given his publicized quote that football won't be here in 30 years. But Bernard is focussed on a different "danger" to the game. He claims to fear that rules to lessen the violence will make fans stop watching and kill the sport! "I think with the direction things are going -- where they [NFL rules makers] want to lighten up, and they're throwing flags and everything else -- there's going to come a point where fans are going to get fed up with it. Guys are getting fined, and they're talking about, 'Let's take away the strike zone' and 'Take the pads off' or 'Take the helmets off.' It's going to be a thing where fans aren't going to want to watch it anymore." As far as I know, every ex-nfl player who had their brain autopsied showed CTE, and now all the ex-players who were scanned tested positive. I know it's a small and quite non-random sample but YIKES! Even if lawsuits and liability issues don't choke off the game, I think the possibility of the other avenue Tyler and I mentioned in our "End of Football" piece, government intervention, is becoming more and more likely (check out our footnote #1). I don't think I understand this enough to know if it's a bad thing, or a really bad thing. On Monday, the World Trade Organization granted the Caribbean nation of Antigua and Barbuda the ability to suspend “certain concessions and obligations it has under international law to the United States in respect of intellectual property rights,” as the result of an ongoing dispute between Washington and Saint John’s. In other words, Antigua and Barbuda will now be allowed to open up its own, internationally-blessed, “pirate” site, undoubtedly full of American films, TV shows, music, and software. The roots of this disagreement, like many feuds, center on money. The 81,000-person nation has long argued it should be allowed to compete, through its offshore gambling sites, in the United States, where gambling is highly regulated. In a statement released Monday, the tiny country’s finance minister said Antigua and Barbuda’s economy has been “devastated” as a result of American action. “These aggressive efforts to shut down the remote gaming industry in Antigua has resulted in the loss of thousands of good paying jobs and seizure by the Americans of billions of dollars belonging to gaming operators and their customers in financial institutions across the world,” Harold Lovell, Antigua’s Finance Minister, said in a statement. I'm a fan of property rights. But the U.S. has asserted rights over the internet that are restrictive and imperialistic. But....well, you tell me. With a nod to Tim C.
1. You'll be wanting one of these, I expect. 2. My new favorite thing about Canadians: Bear-counting. So cute and funny. 3. Amgen gift: So NOW the NYTimes gets it. A little late. 4. KPC friend David Leblang gets a nice write-up in Slate, on licensing cartels. 5. Good news, bad news: You must use flex fuels, except that they void your warrantee. Wait, that's both bad news. Never mind. 6. Young man with quite a nice body decides to expose chest with 4th Amendment written in magic marker at TSA security. Was it a protected protest? New decision says maybe. The bonus is that both Tommy and the LMM can enjoy the visual (don't worry, he's over 18, so it's not creepy or anything). 1. Look outside the big name programs. Many schools or departments are fixated on narrow credentialism. But there are very good people working at lesser known schools and they occasionally produce very good students. Those students are automatically at a disadvantage in the overall market and their disadvantage is your opportunity. 2. Consider couples. In the new world of academics, many job candidates have academic partners. Getting two good jobs in the same city is hard, so schools or departments with the financial flexibility and vision to make joint offers can gain an advantage. 3. Take a look at the "second student" or the "orphaned student". Professors often have more than one student on the market. The top schools are often competing for the advisor's top student and often ignore the second student. But sometimes the second student is actually very good. "Orphaned" students are ones whose advisor changes jobs (or dies) before the student finishes. These students can get lost in the shuffle with no one making calls or strongly promoting them and sometimes these can be excellent candidates. 4. Sell your school or department to the candidate. Many of the people we've hired tell us, "you were the only group that actually read my paper and gave me useful feedback on it". Running a search is a big chore and a public good that frequently inspires free-riding. I always try to make sure that we can engage the prospective hire right away and show that we take their work seriously and that research is very important in our department. This is also an excellent way to uncover students who are not as good as they look on paper. If you move a job market candidate off their pre-packaged spiel and there's nothing there, that is a very bad sign. 5. Move quickly. The academic job market is a very uncertain and tense time for most candidates. Getting an offer out quickly means that a good candidate may have to decide between taking your financially competitive offer or rolling the dice to see if a better school does not hire any of its first choices and brings more people out in a second round of flyouts. Consider making offers early in the season and putting fairly tight clocks on them. Okay, so maybe it's becoming a meme. The "Story where the headline tells the whole story, but you still want to read the story" meme. Okay, so you pretty much get that, right? Kid is playing too much online. You want him to have less fun. You hire assasins to kill his character, to hunt him down, to make it less fun. You get it. But do you still want to read the story? Yes. That's what I'm sayin'. Two nice posts by my good friend Pete Boettke on prices, equilibrium, and the functioning of markets. The function of "market agitation"
I have become much more sympathetic to the Austrian view of the value of equilibrium theory. James Buchanan had this right: if you ALMOST become a pure subjectiviist, and if you consider the tendency toward a single price rather than simply assume single price, you can have the best of both worlds. Jim's best writing on this, Cost and Choice, is undervalued. With subjectivism and "agitation," it is possible to stay in the world of formal economics, and not go out into the kaleidic absurdism of Ludwig Lachmann. (Though Don B. suggests even LL should be appreciated). Had coffee with Pete and young Coyne yesterday. A pleasant time at the Dunkin' Donuts in Fairfax.